Cold continues today across PEI..
Thursday, January 17th 9:00am.. A cold front swept across the island during the overnight hours last night giving the cloud and periods of light snow. This front also ushered in much colder arctic air. High pressure will now build in from the west and is expected to crest over the island tonight. OK….. Things then start to get interesting.. First a weak area of low pressure will cross the region tomorrow with some light snow. Arctic high pressure returns for Saturday with cold sunshine.. A nor-easter is then expected to approach from the SW on Sunday. The problem is the all so important storm track is still unclear with the various computer models tracking the storm differently. The overall consensus is trending a bit further SE which means a colder solution for the Island meaning more snow and less rain. The storm will move NE passing along the NS coastline Sunday night into Monday morning with snow and strong winds for the island. 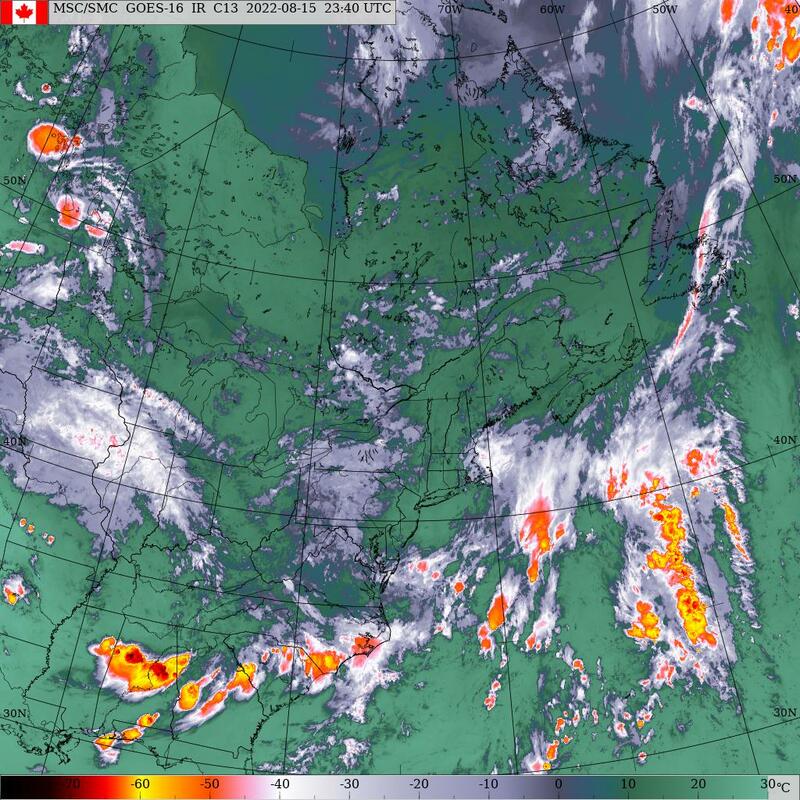 Eastern PEI has the best chance of seeing some rain. The storm pulls away to the NE on Monday with cold air return as arctic air invades from the north with onshore clouds and flurries expected into Tuesday. High pressure approaches and crests over the island Tuesday night into Wednesday morning. Clouds will once again be in the increase by dawn Wednesday as the next weather system approaches with snow developing noon. Models are hint8ng at change over to rain as this system passes by to our north and warmer air id introduced but will will need to wait and get this first noreaster out of the way first. Precipitation.. Snow snow or flurries developing later tomorrow afternoon ending near dawn on Saturday morning giving a couple cms. Dry for Saturday… SNOW begins near noon on Sunday tapering to flurries Monday morning then ending near noon Tuesday. Bit too early for snowfall amounts as the all so important track which will determine the rain/snow line is still unclear. Heavy snow will fall north of the track, heavy rain to the south and a mix of rain/snow and freezing rain along the track. Right now the track appears to be along the coast of NS which would favor a significant snow event for PEI (20-40 cms). More rain and/or snow for Wednesday. Temperatures.. The roller coaster ride continues… Cold today, warmup tomorrow evening peaking overnight then falling again by dawn Saturday. Cold from noon Saturday through noon Sunday then warm-up again Sunday night peaking before dawn Monday morning then falling again on Monday. Cold on Tuesday then yet another warm-up on Wednesday..
Wind.. Will be all around the compass as the various weatehr systems move through. Quite windy Sunday night. Hazards… Cold today into early tomorrow then again Saturday into early Sunday. Significant snow event beginning near noon on Sunday along with strong NE winds peaking Sunday night. Blizzard conditions possible. Watches/warnings.. Special weather statement in effect for Sunday into Monday. Tomorrow.. Sunny start becoming cloud with light snow by late afternoon, light-brisk SE winds, temps rising from -18 at dawn to -2 by late evening. Saturday.. Flurries ending early then clearing, diminishing NW winds, temps falling to -14 by noon. Sunday.. Overcast with snow beginning near noon, brisk-strong East winds peaking towards late evening, temps rising from -17 at dawn to 0 by midnight. Monday.. Snow tapers to flurries early, brisk north winds, temps falling to -10 by suppertime.